It’s been quite a while since I used my Distress Inks for watercolor, and I’m so glad I pulled them out for this card. 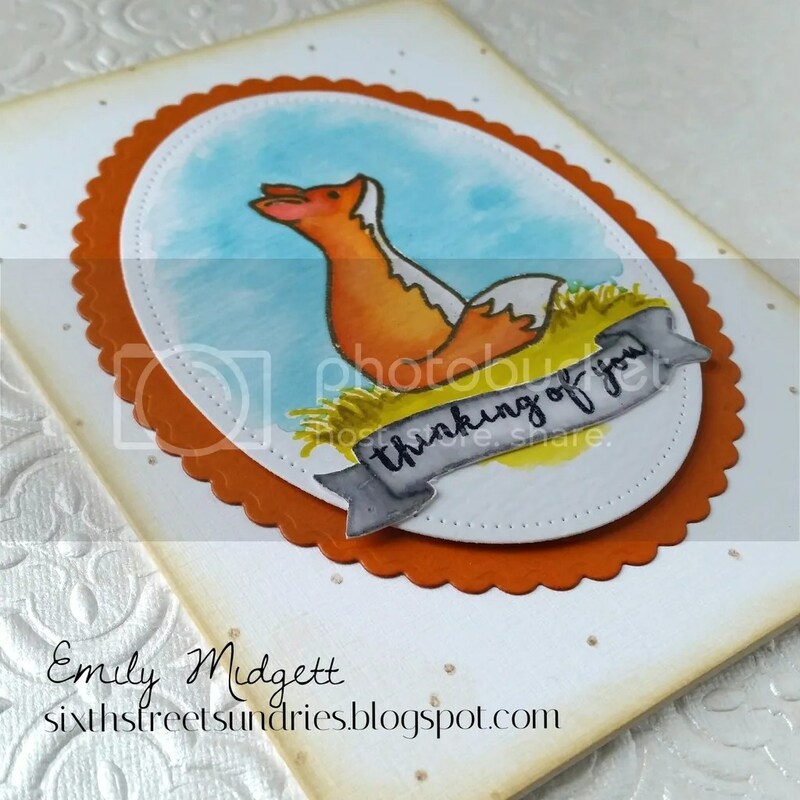 They are just the perfect amount of muted color for this sweet little fox, and particularly when paired with this subdued sentiment. 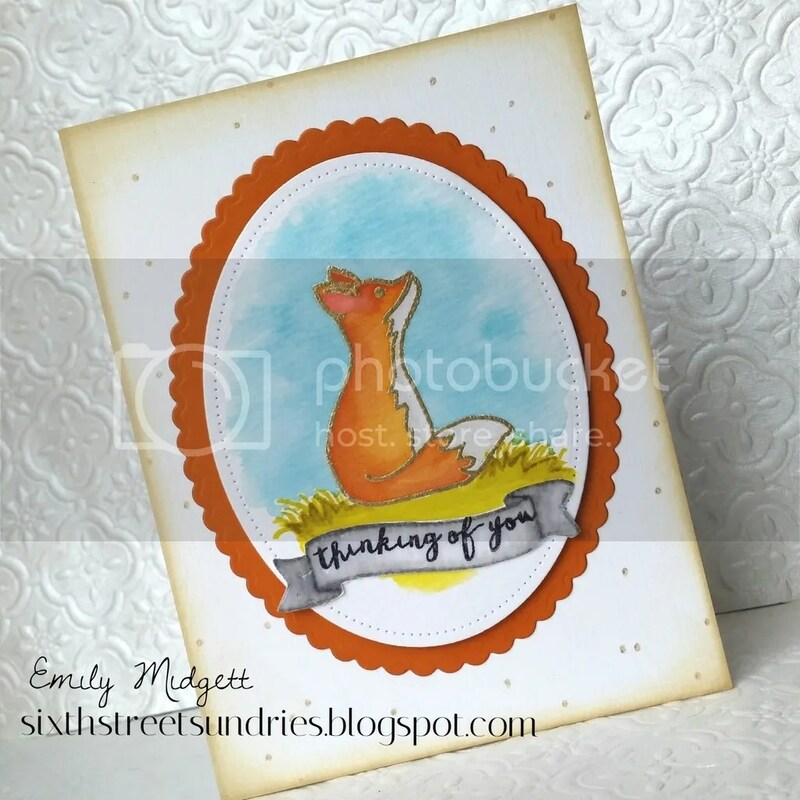 I die cut the watercolored panel from my favorite Strathmore watercolor card stock using the Avery Elle Sweet Scallops dotted oval die, then die cut the orange panel using the coordinating scalloped die. I love the look of the no-line watercoloring, and decided to employ it on the sweet little banner. After it was dry, I fussy cut it out and adhered it to the watercolored oval, which was then popped up on the orange scalloped oval. The card base needed a little something, so I used a gold gel pen to create random dots all over the front panel. The edges were swiped with Papertrey Ink’s Tea Dye Duo, and some Glossy Accents on the banner finished it off. I hope you are having a wonderful weekend, friends! See you back here soon!